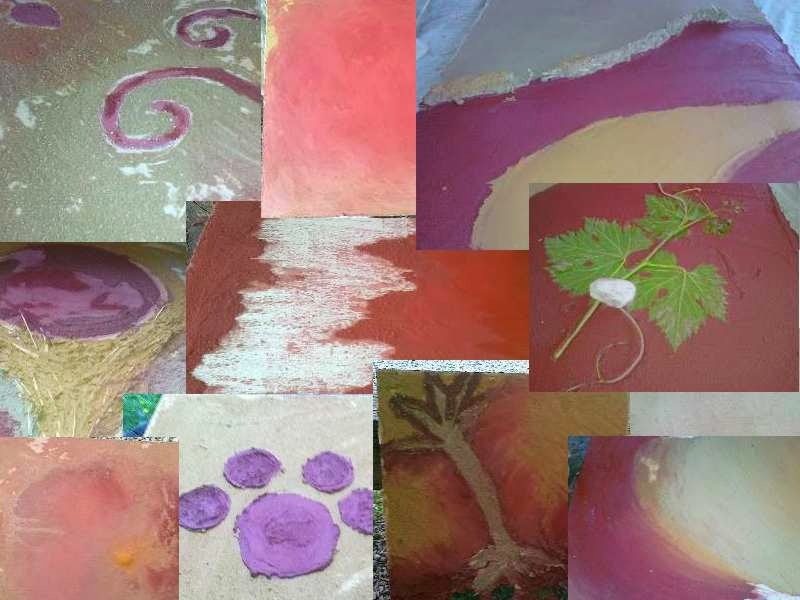 As promised here comes my report from the European Permaculture Convergence, which took place from the 25th to the 30th of July on the shores of Lake Batak in the Rhodopi Mountains of Bulgaria. Apologies for the delay in reporting back, we traveled for another 3 weeks after the event. The setting was an eco-camping site in an area of great natural beauty. 280 participants from over 25 countries showed up. It became some sort of hybrid between a conference and a festival. Days started with a morning circle, usually led by maverick Mr. Bulgarian Permaculture, Misho. The first task was to organise the workshops in an open space format. and announced it. There could be joint proposals. The person proposing the workshop did not have to be an expert in the field, but perhaps simply wanting to know more about the subject, but they were responsible for the running of the workshop they proposed. Some 200 workshops were thus soon on the board. Then the serious business began of running and/or attending those workshops. Of course I ran a foraging walk together with 'Extreme Salad Man' and perennial vegetable expert Stephen Barstow. We complemented each other well. The biodiversity in the Rhodopi Mountains is so great that during a 2 hour foraging walk we only managed to move about 200m away from the camp. How to use music in permaculture teaching run by Peter Cow and attended by the inimitable Charlie McGee and his ukulele of the Formidable Vegetable Sound System. More of both of them in the video at the end. Other workshops explored permaculture games, talked about biodynamic growing, education, etc., new networks were formed, especially across the Balkans and so it went on. In the end each workshop presented their results on some paper and hung it up in the gallery for all to see. For our bodily needs an excellent team of cooks provided us with 3 excellent and varied vegan meals each day. I thought I'd get bored with vegan after 5 days, but these guys did well. Finally, after an intense 5 days, it was time for the closing circle. What had we learned? What were we going to do next? Everyone felt inspired and newly motivated, especially many of the Balkan participants who had, for lack of a network, felt rather isolated before this event. As for my next plans? Yes I did get up and announce them. On the last night I had a drunken conversation with a fellow wine lover and we bemoaned the fact that wine generally came from monocultures. And that there is precious little information out there on applying permaculture principles to viticulture. Milcho, that was his name, then revealed to me that he wants to restore an old vineyard belonging to his grandparents. And so a new project was born. 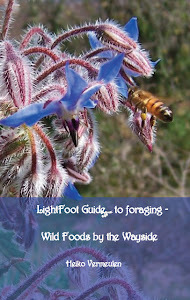 I'm intending to fill the knowledge gap and research the permaculture vineyard and plan to write a book on it. As soon as I announced it I had a couple of people approach me immediately with some useful contacts. So watch this space. Some of my loyal followers may remember me talking at length about how to design a pond the permaculture way some 2 years ago. The most ardent followers may even remember us digging with a bunch of helpers. You may be forgiven if you think that this pond surely by now is well up and running, flourishing and teeming with wildlife. However... In permaculture design we use the SADIMET model: Survey, Analysis, Design, Implementation, Evaluation, Tweaking. Yes, and now we are at the tweaking stage. First of all the trick to grow clover in the base of the pond to seal it didn't work. Secondly, the area above the pond site was still too steep and subsequent landslides filled in much of what we had previously dug out. So first of all we had to secure the area above by terracing it. Luckily we've been having plenty of helpers around. First and foremost may I present you with our long-term helper for the summer, non other than Jaap, the son of Conspiracy Cousin, Buddha Barti, who had been living with us until his untimely demise last year. Regular readers might see the resemblance. Anyway we also had some short term helpers and despite the heat we built some terraces above the pond using old palettes as support. Zosia and Igor from Poland helped during the first stage. And Marianna from... well actually she's a bit confused... French, American, Italian, English? Anyway, I knew her from one of the permaculture courses I helped to teach. Next step is to excavate the pond a bit more again and this time we'll try lining it with cat litter made from pure bentonite to keep the water in. If that works, we'll start planting. We're off to the European Permaculture Convergence in Bulgaria next week, from which I'll be reporting back. Jaap in the meantime will hold the fort back at the ranch with a couple of friends of his. Weeelllll.... I'm shamefacedly looking at my feet for not having posted anything for almost a year... you know... we've been traveling here and there... from Bulgaria to Italy to Ireland to Germany to Italy... To those of you following my blog regularly, and amazingly despite my lack of recent posts the numbers seem to go up, yes we are still looking for new pastures. Although maybe not in Bulgaria as we had recently planned, but kind of the opposite end of the continent in Ireland. But nothing is certain yet, so at the moment we're still in Italy (at least for the last 3 weeks and the coming 10 days, after which we'll head to Bulgaria). So, were to begin? An explanation for my muddy feet would be a good way to start. What I'm really dreaming of, as and when we finally find that ideal plot of land at the best location, is to build my own house there. It's quite a daunting task if you have never constructed as much as a dog shed and just glean your knowledge from a couple of books and some pretty pictures on the web. 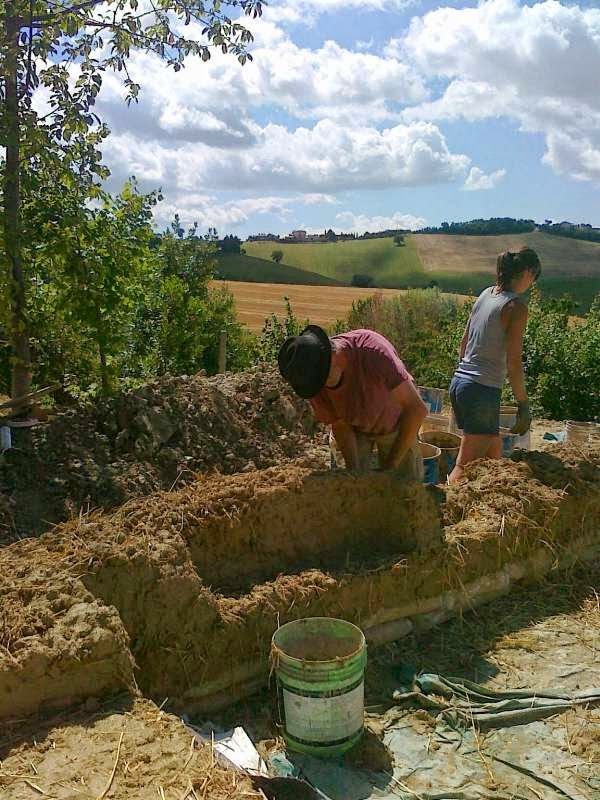 So when my good friend Giorgio, one of the fellow participants of my permaculture course a couple of years ago, sent me an e-mail saying he was organising a 5-day introductory course in cob building, I didn't need much convincing. The course was held at an Ashram in Eastern Italy (I won't reveal their exact location, as their building is being built illegally) by Koenraad Roggenman and James Thomson from House Alive all the way from Oregon. Koen, who is a fellow Dutchman, has had 15 years experience in building and teaching building with cob. It was a hugely inspiring workshop and I was amazed at how easy building with this material actually is. I mean, even I could do it!!! This is at the beginning of the workshop. There were 9 participants and 2 helpers as well as the two teachers. The helpers had laid the foundations before our arrival. First we learned different cob-mixing techniques. The ingredients are clay, of which there were abundant quantities around at a very pure form, sand, straw and water. The traditional method simply involves squidging the ingredients around a tarpaulin with your bare feet. Very satisfying!!! In those 5 days, with all the other lectures and practice sessions in between, 10 of us working maybe 3-4 hours on site per day managed to build the wall of a 20m2 house to the height of about a metre. Given that the wall is 50cm thick, I reckon that's pretty good progress. There is a second workshop on that site starting today with 25 students lasting for 10 days. If they don't manage to finish the walls, they are a bunch of woossies in my opinion! 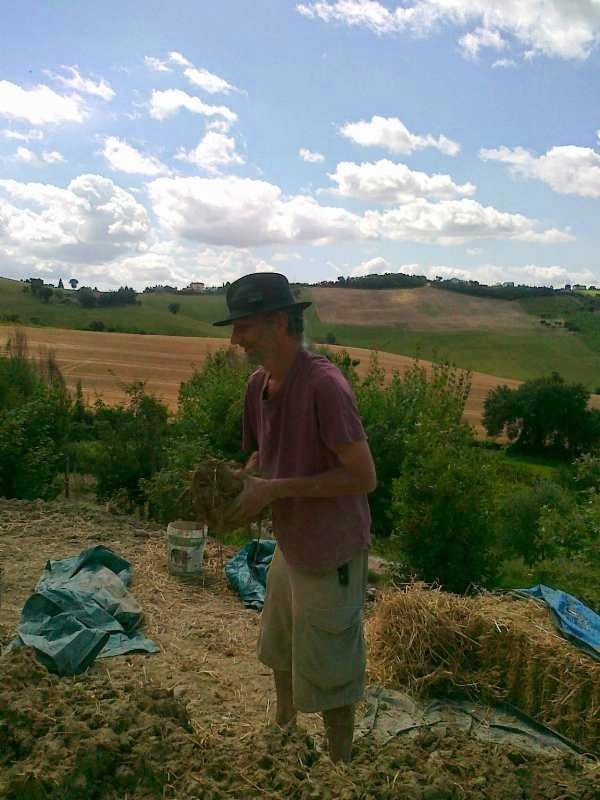 And I promise I will write another post real soon about what's been happening at our land back in Italy as well as report on The European Permaculture Convergence in Bulgaria, where we will be heading soon. A pea tree caragna brevispina. This is a nitrogen fixing tree growing up to 20 metres high producing edible pea-like pods. Although it grows quite tall, it is slender with light foliage and doesn't throw too much shade. A Cornelian cherry cornus mas. A shade tolerant shrub, small tree producing delicious cherry-like fruit. A Japanese quince chaenomeles speciosa. Another shade-tolerant shrub producing quince-like fruit. Autumn olive elaeagnus umbellate. A nitrogen fixing small tree producing delicious and nutritious berries in late autumn. A sea buckthorn hippophae ramnoides. Another nitrogen fixing shrub which makes an excellent wind break and produces berries rich in vitamins and minerals. 2 chocolate vines akebia quinata. 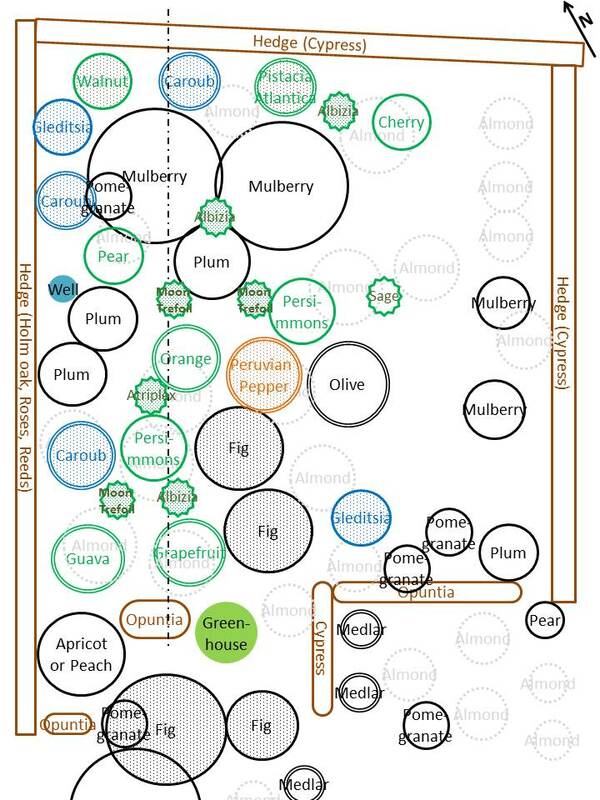 A climber producing edible leaves and fruit. The leaves make a good addition to the salad bowl, while the fruit has a delicate sweet flavour. Can also be grown as a ground cover. A dewberry rubus caesius. A small shrub which functions as a ground cover in shady areas, producing small edible berries. Finally in the medicinal herb bed the liquorice is doing well (also purchased at the plant sale). We took a dog food tin kindly donated by Eddie, the Beagle and cut open the bottom end as well as the top end (removing the dog food of course, which was appreciatively gulped down by said beagle). We took a 5litre olive oil can which we got from our recent trip to Greece and emptied it's contents into other containers. Wearing heavy duty gloves (!) and using a simple tin opener off my multi-tool implement, we cut a hole the size of the dog food tin in the narrow side, near the bottom and stuck said tin about halfway inside. Still wearing said gloves and using the same tool, we then proceeded to cut another hole in the top, a bit larger than the other hole. Next we stuffed a little straw into Eddies tin, top by a few small dry twigs. Finally the test: we lit the straw with a standard cigarette lighter, although matches may also have performed the same job and put a small saucepan with approximately 1/2 litre of water on top. I set a stopwatch from the moment we lit the fire and kept feeding it with small twigs. All in all just a small handful was used and within a mere 11 minutes the water was boiling! The fire literally rockets out of the back of the small tin and then upwards, creating a lot of heat very quickly. This will makes us our daily coffee at least now and save us on camping gas from non-renewable containers. We have now camped on Vasko's land in Rozovets, Bulgaria for over a month and are well finished with the survey and analysis of the land and finished the design starting to implement the first permanent design elements. 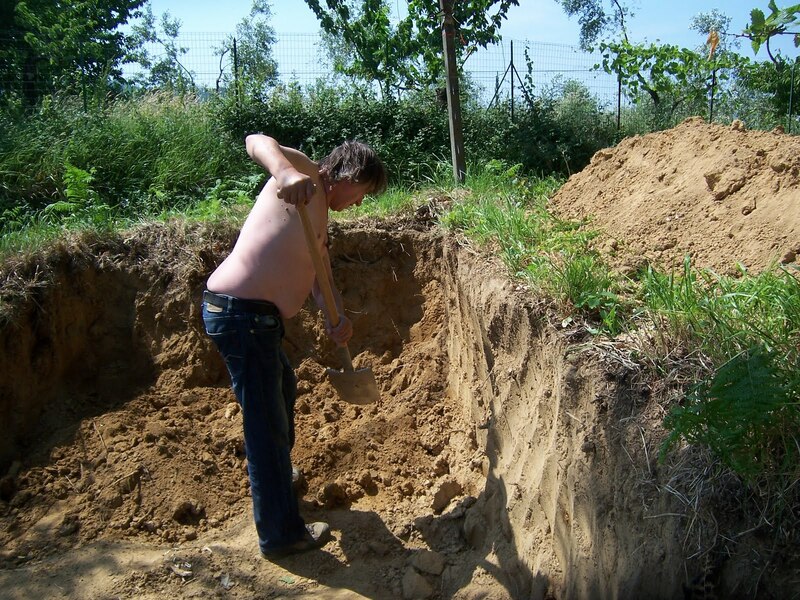 Vasko's wife Elka has a keen interest in medicinal plants and so one of the elements which we have already put in place is a keyhole bed for medicinal herbs. The keyhole bed is a classical permaculture design, which is both space saving and pleasing to the eye. The idea is that you plan a large round bed with a space free in the centre, so that the wide bed is accessible from either side without the need to step on the bed itself. From the soil analysis we gathered that we he have two distinctly different soils: 1) the lower, southern part, which has a reasonable depth of sandy silt over a layer of chalk and possibly some clay a bit deeper down. The ph is pretty much neutral and it is low in nitrogen and magnesium. 2) the higher northern part with almost no topsoil to speak of, just a rock hard chalky surface. We decided to place the keyhole bed on the northern side, at the border between zones 1 and 2 in relation to where we intend to construct the strawbale house next spring, with the entrance pointing north for easiest acces from the house and also therefore having the path at the postion where there will potentially be the most shade from the plants. So one of the first considerations was to create some topsoil, but first we wanted to outline the area and level it. The dimensions of the bed are an outside diameter of 4 metres and an inside diameter of 1.2 metres. That way the bed has a width of 1.4 metres all around and can easily be accessed from both sides with a reach of 70cm. We had already dug a swale (more about that on another post), so we wanted it to fit below that. With a stake in the centre and a piece of string of the appropriate length we measured the outer circle. Then with an A-frame we measured a level diameter and placed stones around the lower perimeter with the stones from the mysterious stone-walled hole we found on the property. Next we dug the soil from the higher end to the lower end to level the bed, a difficult and bone-breaking job, given the aforementioned hardness of the ground. We then completed the stone circle, leaving a gap of 60cm at the northern end for the path. Next we measured the inner circle, lined it with stones and connected the two circles to give a small path into the centre. And this was the result of our efforts so far. We also added an old hollow tree trunk we found, which adds a little height. Now for the list of medicinal plants for those of you that interested. I separated them into shade-tolerant and sun-loving plants and listed them more or less in descending order of height, the idea being to put the tallest shade tolerant plants on the northern side and the lower sun-loving plants on the south, if that makes sense. I'm also giving the Latin names, their chief medical properties and other uses, as in permaculture every element should fulfill multiple functions. GMOs are history but not the way you think! - *We’ve Moved! * Please join us at our new blogging home at: *http://bellavitaitalia.com/blog/* See you there!! !